Some say you can’t have your cake and eat it too. 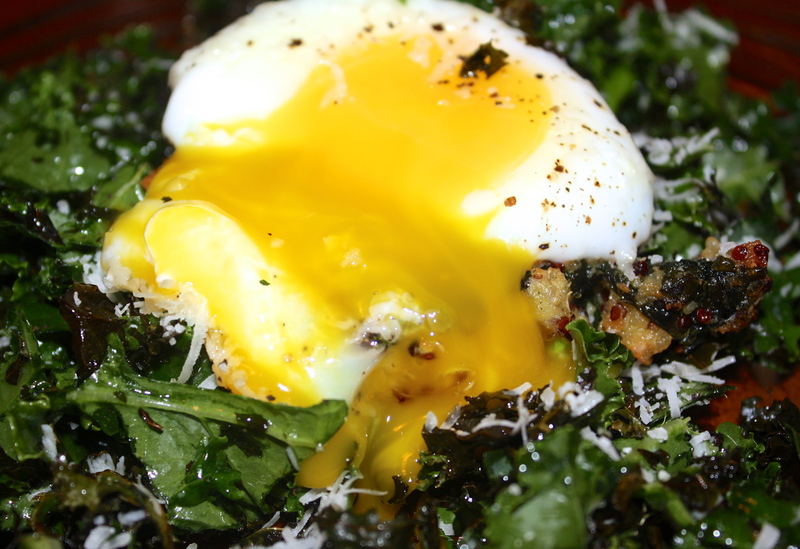 When it comes to quinoa, I beg to differ. Quinoa is the ‘moving on up’ of whole-freaking-grains so get ready to be amazed by what THR is about to throw at your noggin! Whole grains are obviously a hot topic of discussion here on THR. 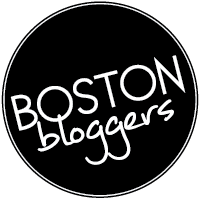 This post isn’t about to stray far from that very subject today. 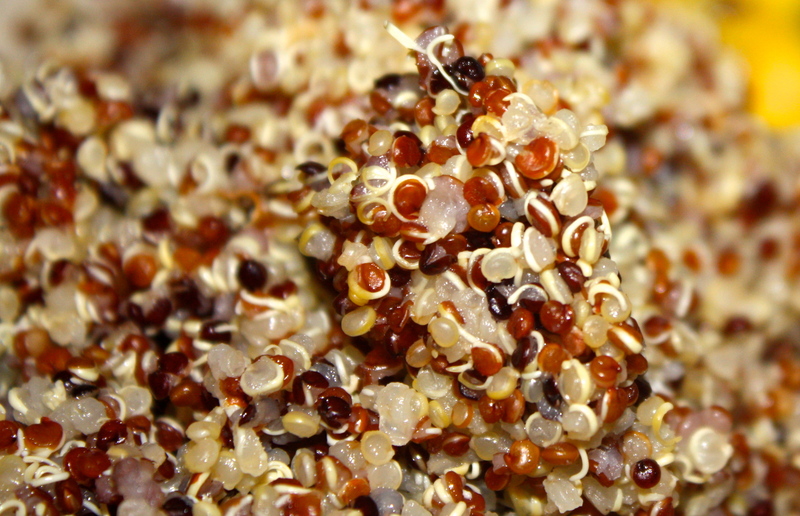 Quinoa is one such example of a whole grain, despite it actually being a pseudo-cereal (we’re getting to that). And for those swearing off gluten, for medical or fad purposes, it also happens to be gluten-free! Quinoa is a ‘pseudo-cereal’ meaning it’s a food similar to grains in how it’s cooked and eaten, as well as it’s nutrient profile. Having been harvested back nearly 4,000 years ago in the Andes region is what gives this seed its ‘ancient grain’ moniker. Us late-blooming Americans must be pretty late to the game because this protein-rich seed seems to be just now making its way into the forefront of the dietary world and current grain research. Such newbs. How late? Well, the Food and Agricultural Organization of the United Nations (FAO) officially declared that the year 2013 be recognized as “The International Year of the Quinoa.” Yeah, that late. Sure America doesn’t make up the United Nations, but you get my point. Grains (and their look-a-like counterparts) are often thought of as mainly carbohydrate, but quinoa bucks the traditional views of the grain world with its high protein-to-carbohydrate ratio. Whole grains contain three parts: the bran, the germ and the endosperm. The bran and germ make up 25% of the grain’s protein content. Keeping that in mind, the germ of a quinoa seed takes up 60% of the grain’s real estate. To put this in perspective, the germ of a kernel of wheat makes up a measly 3% of the grain. Psh! What’s that wheat? 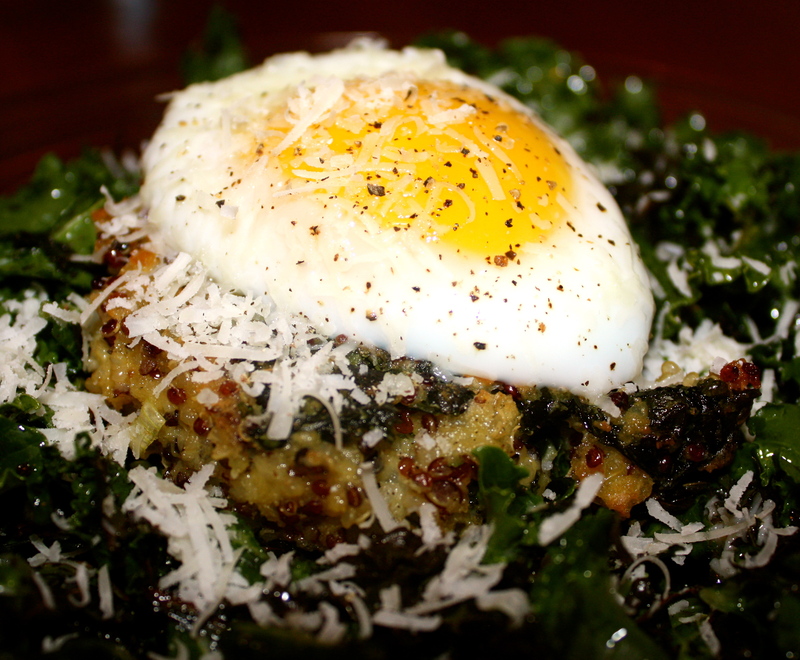 I can’t hear you over quinoa’s awesomeness. Letmegeekoutforaminute. To dig a little deeper on this protein point for one hot second, those in the nutrition world look at protein in two categories: complete and incomplete. Sometimes it’s not just about quantity, but rather quality. The distinction between these two forms of protein lies in the number of essential amino acids the protein contains. Essential amino acids are deemed ‘essential’ because our stupid human bodies cannot make them, but are necessary for survival. Animal proteins are complete. Plant proteins? Not so much. But I’ll give you one guess as to which plant contains all nine essential amino acids. You guess it! I hope. Quinoa! 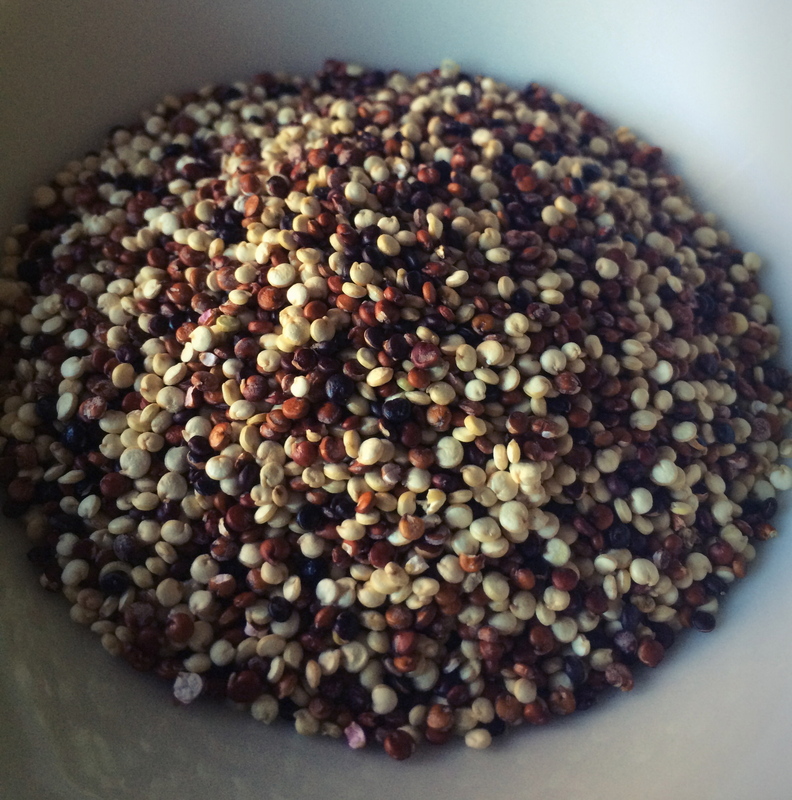 Ancient Harvest Quinoa Harmony Blend is a combination of traditional, black and red quinoa. While I enjoy traditional quinoa, the blend is a fun way to jazz up salads, serve in place of rice or pasta and works well when manipulated into burger form. The blend retains the natural nutty flavor of traditional quinoa that pairs well with a variety of ingredients. 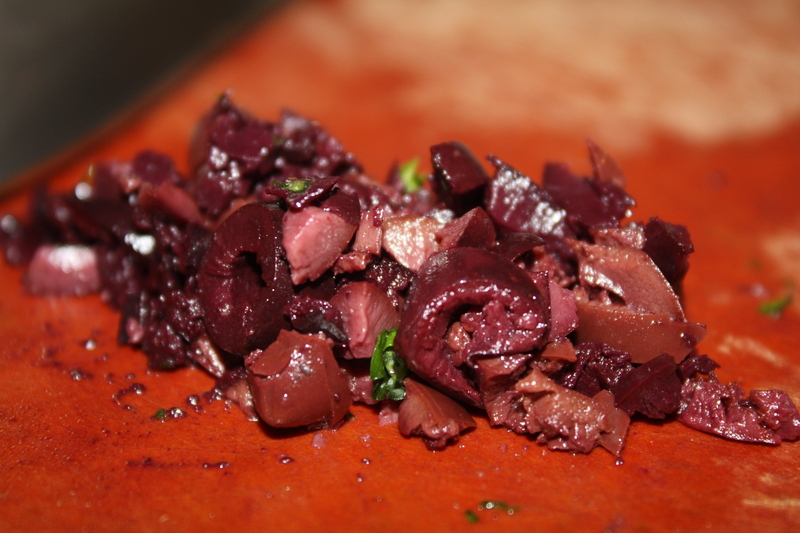 Do not be afraid to experiment with this beautiful product. 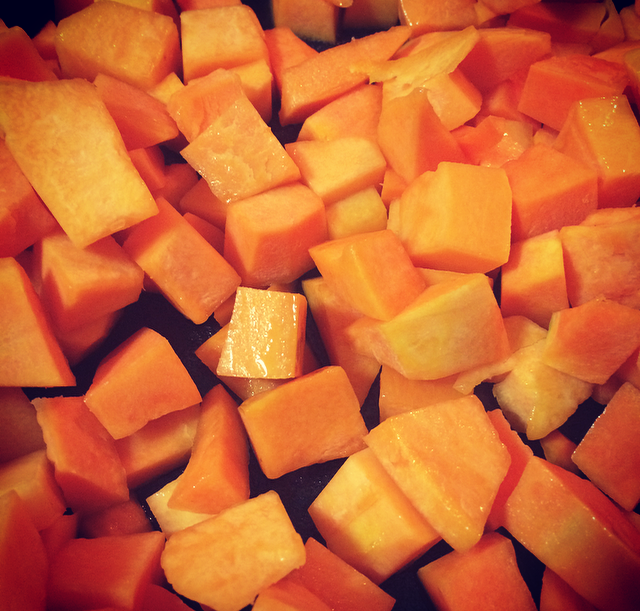 One rule to keep in mind prior to preparing: rinse the quinoa. Yeah, I know it says it’s ‘pre washed’, but quinoa develops a natural bitter coating called saponin that fends off pests and helps it grow without the necessity of chemical pesticides. I agree with the Whole Grain Council on this one, the extra rinse may help remove any residue left on the grain. Hey, a little extra water aint’ never hurt nobody (my words, not theirs). 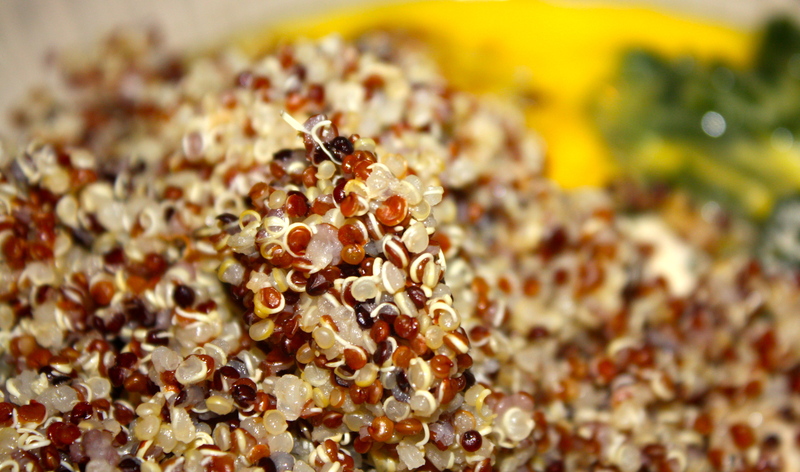 One quarter cup of this tri-blend quinoa (dry) contains 170 calories, 2.5 g fat, 30g carbohydrate, 5g of protein. 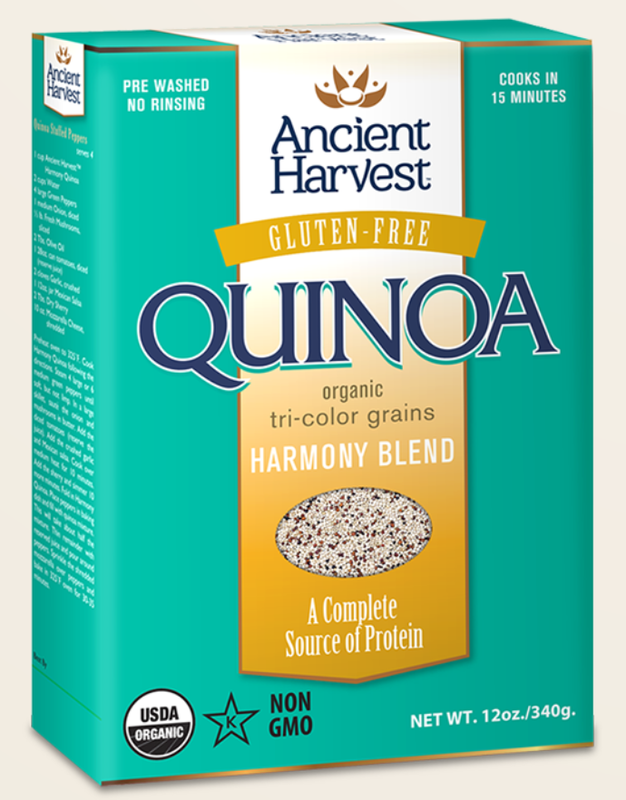 Ancient Harvest Quinoa Harmony Blend is certified USDA Organic and is a non-GMO food, if you’re into that stuff. Sold in most natural foods stores, click this link to find your nearest retailer. 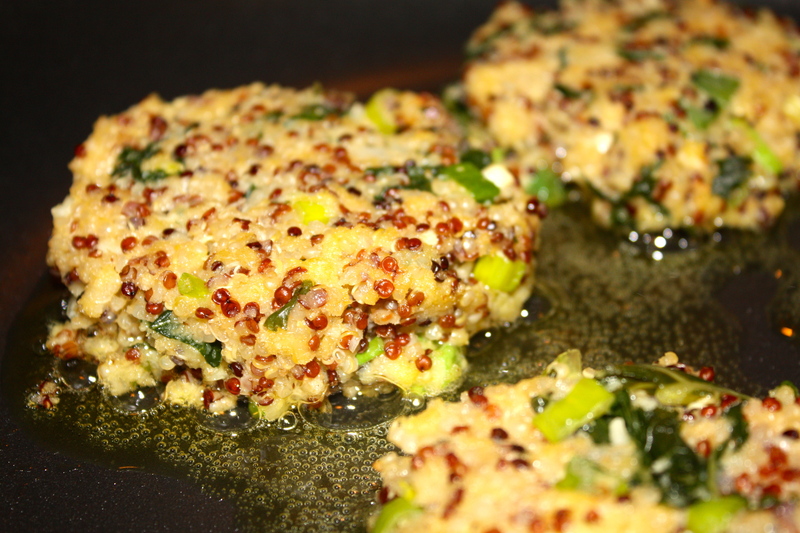 Come back next week for a Harmony Blend quinoa recipe!